Ad Infinitum is pleased to announce that the new Adversaries sourcebook for Icons Superpowered Roleplaying is now available as a downloadable PDF ($10) and as a print-on-demand book. The print edition is available in both softcover (standard color for $20 and premium color for $30) and hardcover (premium color only for $35) and print purchase includes the PDF at no additional cost. 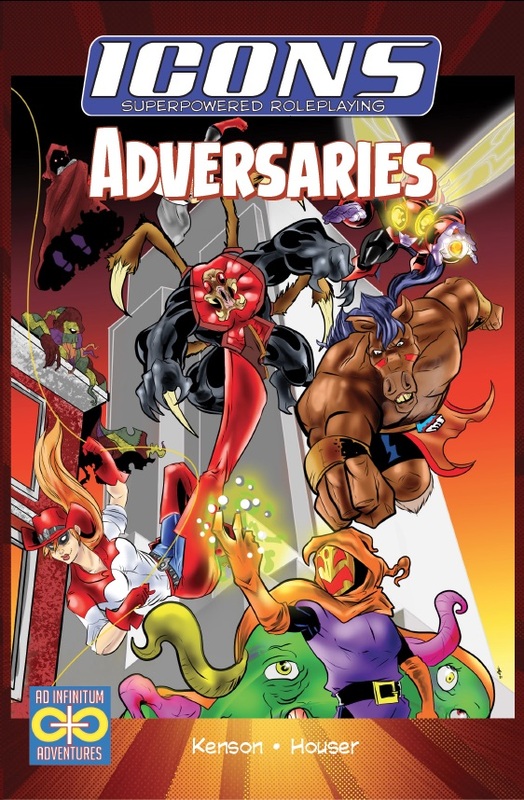 You can find the new Adversaries sourcebook on DriveThruRPG and RPGNow Check it out along with the other fine adventures and supplements for Icons Superpowered Roleplaying! This entry was posted in Publishing and tagged ad infinitum, adversaries, icons, villains. Bookmark the permalink.